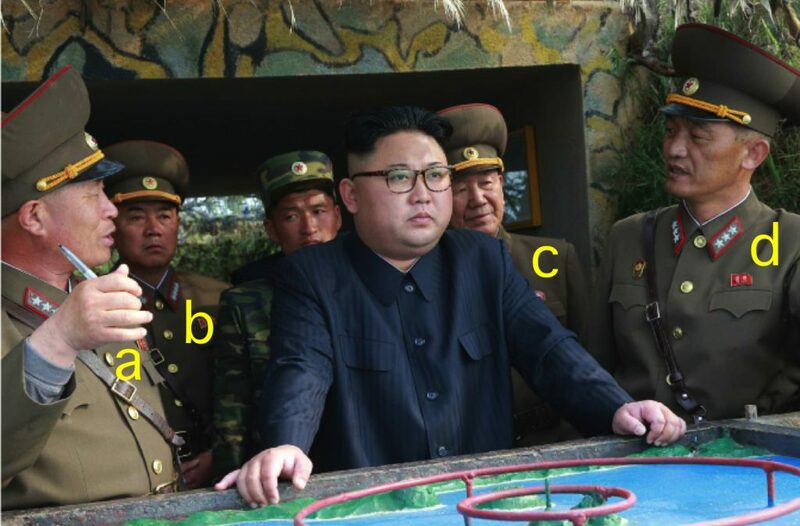 IV Army Corps Commander Col. Gen. Ri Song Guk [d] and KPA Artillery Bureau Director Col. Gen. Pak Jong Chon [a] brief Kim Jong Un. Also in attendance are 1st Vice Minister of the People’s Armed Forces Gen. So Hong Chan [b] and former KPA General Political Department Director Hwang Pyong So (Photo: Rodong Sinmun). Colonel General Ri Song Guk [Ri So’ng-kuk] is commanding officer of the Korean People’s Army [KPA] IV Corps and a Member of the Workers’ Party of Korea [WPK] Central Committee. Col. Gen. Ri is also a deputy to the Supreme People’s Assembly [SPA]. Col. Gen. Ri has held a series of successive command positions in the KPA’s ground forces, culminating in command of the 39th Division. In August 2013, he was assigned command of the IV Army Corps, a forward-deployed ground unit based near the West (Yellow) Sea and the North Limit Line [NLL]. 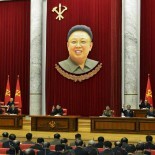 He replaced Pyon In Son, who became the Director of the KPA General Staff Operations Bureau. Ri spoke at an army-people solidarity event which commemorated the third anniversary of the November 2010 artillery shelling of Yo’np’yo’ng [Yeonpyeong] Island, ROK. He was elected a deputy to the Supreme People’s Assembly in March 2014. During the 7th Congress of the Workers’ Party of Korea in May 2016, Col. Gen. Ri was elected a member of the WPK Central Committee.